Earlier this year, I was honored to be a guest author on Regan Walker’s marvelous Historical Romance Review blog site. 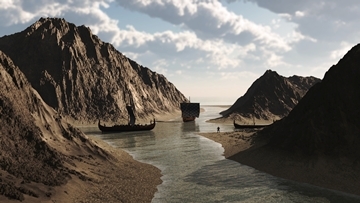 My article, “Viking Age Iceland, the Land of Ice and Fire,” appeared January 23, 2018. As so often happens, the research that went into developing the article grew so extensive that much of it had to be sacrificed and could not be included in the final piece. Hence the article focused on the discovery and first settlements of Iceland but left aside its laws and literature. Rather than have this material languish in the darkness of my files, I’ve decided to bring them into the light in a series of blogs. 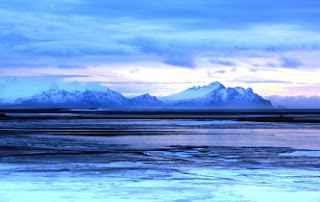 I hope you will enjoy exploring VIKING AGE ICELAND with the following articles. 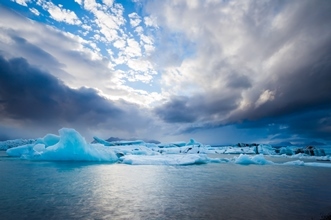 From its founding, Iceland was a self-governing society of free landholders. They recognized no sovereign or overlord, established no central authority, and maintained no army. Instead, a complex system of ancient Germanic law codes bound them together – the law plus personal honor. It is believed that Ingolfr’s son, Thorstein, an important goði in his own right, founded the first thing (local legislative assembly) presided over by a goði as law-speaker. The goðar held esteem due to their knowledge and understanding of the law which was committed to memory. At the thing the goði acted as arbiter to resolve disputes, settle debts, and end blood feuds. By 930 upward to 30,000 people had flowed into the country and all available land had been claimed. A more organized system of governance was needed. Recognizing this, the leading goðar established a national assembly to serve the entire country called the Althing. This event is considered the founding of the republic (Free State) and Icelandic democracy. The national assembly lasted essentially in its original form from 930 until 1264 when Iceland came under the rule of the Norwegian crown. The Althing met annually in midsummer at Thingvellir (“Thing Plain”), a lava plain in southwestern Iceland. The proceedings lasted for two weeks in the open air and all could attend. The powerful goðar and their thingmenn journeyed from all parts of the country as did those of lesser status – free men and women, traders, brewers, craftspeople, those seeking spouses and more. 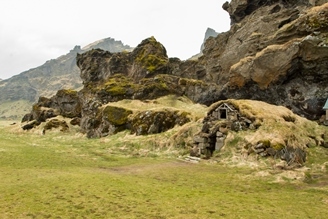 The goðar occupied booths of turf-and-rock with cloth roofs, while others set up tents. Though the Althing’s function was legislative in nature, it also served as the great social event of the year. The Law-speaker (lögsögumaör) was Iceland’s only recognized national official. He was chosen from among the goðar to hold the position for three years. As Law-speaker, he presided over all aspects of the Althing from beginning to end. Most importantly, each year, he would stand upon the Law Rock (lögberg) and recite one third of the law from memory. 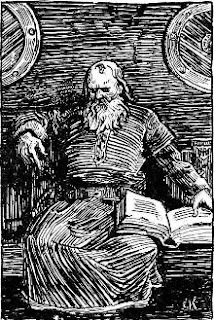 Several other goðar would witness this recitation, assuring that no mistakes were made. The Law Rock was the central focus of the proceedings of the Althing. 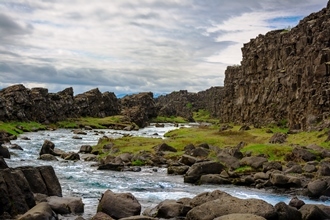 It was a natural stony projection with a massive wall (almannagjá) rising behind it. This enhanced the acoustics, projecting voices off it. Varied activities took place on the Law Rock – the opening and closing ceremonies, the Law-speaker’s recitation, speeches and announcements, legal decisions and pronouncement of sentences, etc. Anyone attending had the right to stand upon the Law Rock and present their own case. 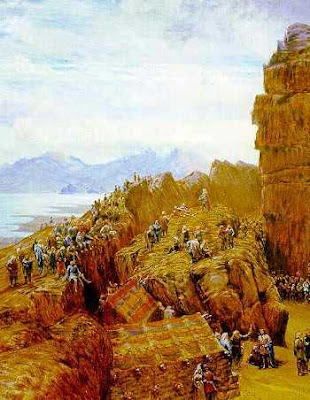 From the founding of the Althing, the leading goðar controlled the assembly, dividing its authority among themselves. Most were interconnected by ties of blood and marriage. Nonetheless, power struggles arose among them and hostilities broke out. In order to avert countrywide bloodshed, the Althing was reformed and peace restored. The reforms of 965 divided Iceland into quarters: northern, southern, eastern and western. Each quarter was divided into 3 lesser things (12 in all) with 3 goðar (36 in all) presiding over each thing. (A fifth jurisdiction was added later raising the number of things to 15 and goðar to 39.) These goðar were required to attend the annual Althing where, together, they all formed the legislature (lögrétta) which made new laws and reviewed old ones. Thus, they shared power equally. The Althing had judicial functions as well. With the reforms, each quarter of the country had its own court. An additional court was created at the national level as a highest court of appeal. Germanic customary law was based on a system of compensation to satisfy grievances and limit bloodshed. Settlements typically exacted a fine (wergild) determined according to the offence and the status and gender of the aggrieved. In severe cases, the guilty party was outlawed and expelled from the land. Somewhat surprisingly, the things and Althing had no real power to impose these decisions. Enforcement resided in the hands of the people. In time, this feature proved detrimental to the stability of the country. In 1117, at the direction of the Althing, Iceland’s extensive law codes were compiled and written down. These are known as the Grágás, or “Grey Goose Laws.” They provide the best documentation that survives on the Viking legal system. By the 13th century, the power of certain goðar had increased enormously, while that of others had ebbed altogether, thus altering the balance of power. A handful of families expanded their territories into what were essentially hereditary mini-kingdoms (ríki). When they began warring against each other in an attempt to control the church and the Althing, the populace had had enough. In 1264, after a succession of meetings in the quarter things, lasting over a two-year period, the people agreed to submit to the King of Norway as their overlord and allowed him to take over. Both King Hakon IV and his son and successor, Magnus VI, proved to be good rulers. Officials were sent to implement the transition and oversee the peace. Some new laws were codified, but most of Iceland’s customary laws were retained. Life proceeded fairly well, but the Free State had come to an end. How impoverished our knowledge of the Viking world would be today if it were not for the great literary treasures of Iceland. By contrast, little survives from other countries of that time period. Almost all of what we know of Norse mythology, Viking navigation, law codes, everyday life, etc. is preserved in the Eddas, sagas, and poetry of Iceland. It may seem strange that a remote island, just south of the Arctic Circle, should be the repository of such literary riches. Yet the country’s very isolation, in great part, contributed to the profusion of its poetry and prose. 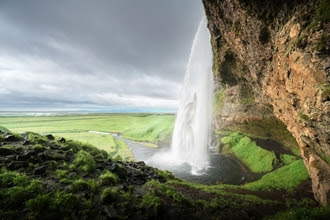 Being far from their native soils, Icelanders were keenly interested in their past, traditions, and in their rugged forbearers who first colonized the land. They preserved their ancestors’ memories and the stories of old in verse, sharing the tales during the long winter nights. For nearly six months of the year, icebergs prevented anyone from leaving the island. Winter brought deep snows and near constant darkness. With so many hours spent indoors, plus the necessity to offer hospitality to guests, entertainment became an important part of the Icelanders’ lives — especially in the form of storytelling. Theirs was an oral tradition. The old tales and legends were recited in skaldic verse which utilized formal meters and highly-wrought, complex language. This included “kennings” which employed clever and elaborate metaphors. In the 9th and 10th century, the skalds of Iceland achieved wide renown and were sought for the royal courts, particularly those of Norway and Denmark. In the year 1000 the Althing voted to adopt Christianity as the state religion. King Olaf of Norway, who had, himself, embraced Christianity, threatened to cut off trade with Iceland if it did not likewise adopt the religion. Iceland’s survival depended upon trade with Norway, so a middle ground was sought. After deep consideration, the Law-speaker decided that Iceland would adopt Christianity publicly, but in their homes, people could worship as they wished. This compromise led to a peaceful transition. As Christianity was accepted, the populace continued to value and to preserve the stories of its pagan heritage. The transition from oral recitation to writing did not happen immediately. However, when the Icelanders did begin to put quill and ink to parchment (11th – 12th c), they wrote in the vernacular (Old Norse) rather than in Latin. Remarkably, Íslensk has changed little from how it was spoken the 9th c. With some effort, the ancient Eddas and sagas can still be read by Icelandic school children today. Iceland’s main body of literature was produced between 13th – 15th centuries and is extensive. 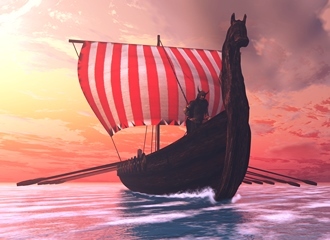 Snorri Sturluson, an influential goði, poet and scholar writing in the 13th century, leaves us some of our most important sources of the Viking age, chief among them being the Poetic and Prose Eddas and the Heimskringla. In part, these works are a compilation of poems based on the oral tradition of the 9th – 11th centuries. They provide our greatest source of knowledge of Norse mythology, plus legends of heroic warriors, and instructions for skalds. The Poetic (Elder) Edda recounts the Norse creation story and Ragnarök (Völupsá - Prophecy of the Seeress). It also contains Norse wisdom, rules of conduct, runes, and charms (Hávamál - Sayings of Hár); and details how the god, Heimdall, sired the three social classes of jarls, karls and thralls with detailed descriptions of each class (Lay of Ríg). The Prose (Younger) Edda further expands upon Norse myths and lore and includes what are essentially technical textbooks for skalds: the Skaldskaparmál and the Háttatal. The Heimskringla is actually a collection of sagas of the Norwegian kings. Snorri’s composition follows accounts of the historical rulers over several centuries. His “kings’ sagas” created a new literary form. Additionally, the work also portrays the war between the gods of the Æsir and Vanir. Iceland is famous for its family sagas. These relate tales handed down over time, portraying Icelanders who became embroiled in deceptions and blood feuds. The sagas read like historical novels and part of their popularity lay in the depictions of human relationships and interactions. They also supply details of everyday life and those of navigation methods and of the laws which are quoted. But can such details, given in what many consider fictional tales, be trusted for accuracy? There has been an ongoing dispute around this question with opinions changing overtime. Currently a new approach is being taken – paring the information given in the sagas with archaeological findings. Overall, it can be said that the early Icelandic audience, listening to the sagas (or reading them), knew the law and everyday aspects of their lives, and, in many cases, were descendants of the people portrayed in the sagas. Given that, it is also recognized that attributes and deeds of the characters could be inflated or fictionalized. The Poetic Edda and Heimskringla are a collection of poems and prose sagas recorded in Iceland, mid 13th century, by Snorri Sturluson (1179-1241), one of the most powerful chieftains and learned men of his time. v Lay of Ríg: Tale of how the god, Heimdall, sired the three social classes (jarls, karls & thralls) with detailed descriptions of each class embedded in the tale. v Ynglingatal (Enumeration of the Yngling Kings): Contains genealogy of the Ynglings, plus additional information on the war between the Æsir and Vanir. Highly recommended – the extensive publications by Prof. Jesse Byock.